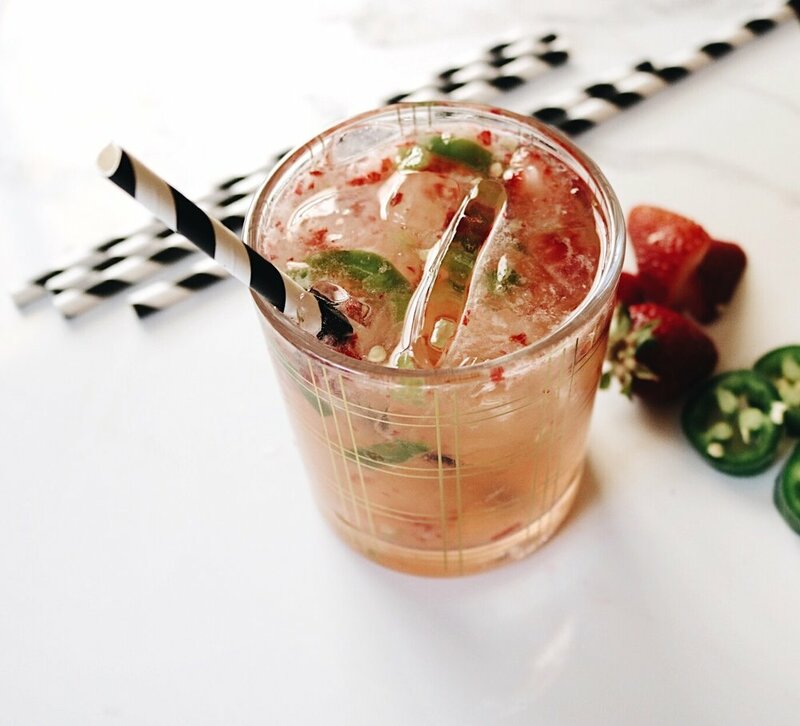 Muddle the strawberry and Jalapeño in a shaker. Add ice, tequila, cointreau, and lime juice. Shake all of that together and then pour in a glass over ice. I take the top completely off the shaker and throw in the crushed fruit and Jalapeño as well!